Little Sluice - before the County Supervisors had it destroyed. 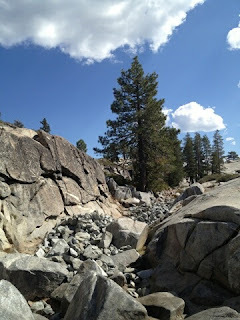 As of yesterday, September 28, 2012, the iconic, most photographed, and toughest obstacle on the Rubicon Trail - the Little Sluice Box - has been destroyed. Not by an act of Mother Nature. Not by faux environmentalists. And certainly not by the offroaders who loved and cherished it. 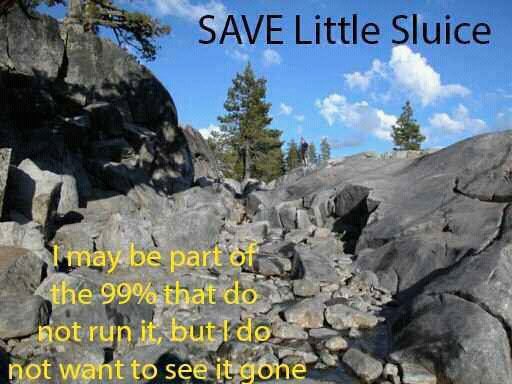 Little Sluice was destroyed by the El Dorado County Board of Supervisors. 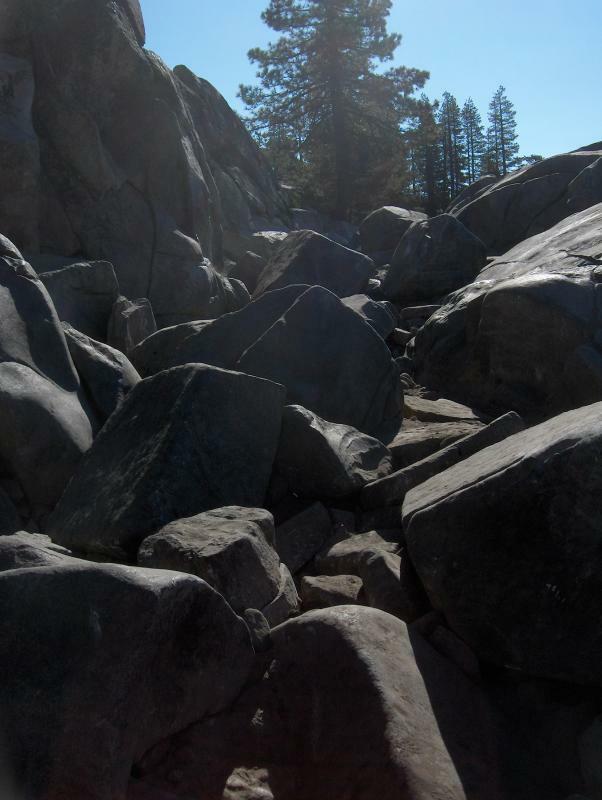 What sets the Rubicon Trail apart from all others - in fact, what kept it open when every other trail in Eldorado National Forest was closed - is the fact that it is officially an unmaintained county road that is not under the Forest Service's mismanagement. Yet here comes your government again, with their dynamite and helicopter and tons of filler rock in an attempt to maintain the trail against the wishes of the public they serve - Nature be damned! There has been a lot of discussion on various Internet forums regarding this issue, but as usual Pirate4x4.com's coverage is the most thorough, with all your leaders in the Land Use arena participating. The off-road community is so worked up about this because there are a lot of issues above and beyond the ridiculous demolition of the trail. For instance, why is a cash-strapped county in a cash-strapped state spending $16,000 per hour to hire a helicopter to dump all this filler rock? This money is being taken from the taxpaying public to destroy this public recreation area against the will of the public! Why does Supervisor Jack Sweeney think this is morally or financially okay? Maybe he ought to receive an email from you in which you share your thoughts? I also encourage you to pick up a guidebook such as 4 Wheeler's Guide to the Rubicon Trail or Guide to Northern California Backroads & 4-Wheel Drive Trails so that you can be properly prepared and get to fully appreciate everything that the trail has to offer. The book Rubicon Springs and the Rubicon Trail: a history is a terrific coffee table book that I got to buy directly from the author at the 60th Jeepers Jamboree, and I highly recommend it! I think people should just go to Fordyce instead, and spend our money in Placer and Nevada counties. 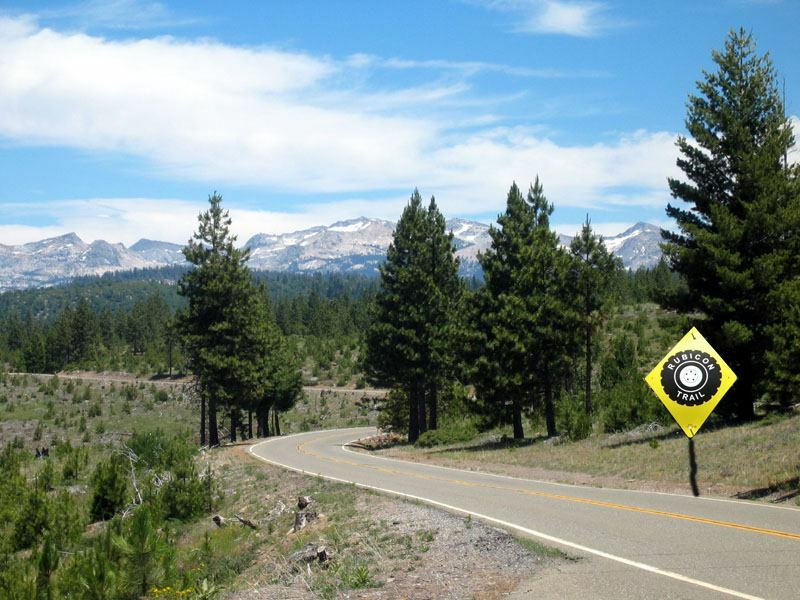 As if it wasn't already challenging enough to run a business here with California's business-unfriendly politics, El Dorado County Supervisors are now undoubtedly driving tourism dollars away from the county - especially for the small businesses at either end of the Rubicon Trail in the Georgetown and Lake Tahoe areas. 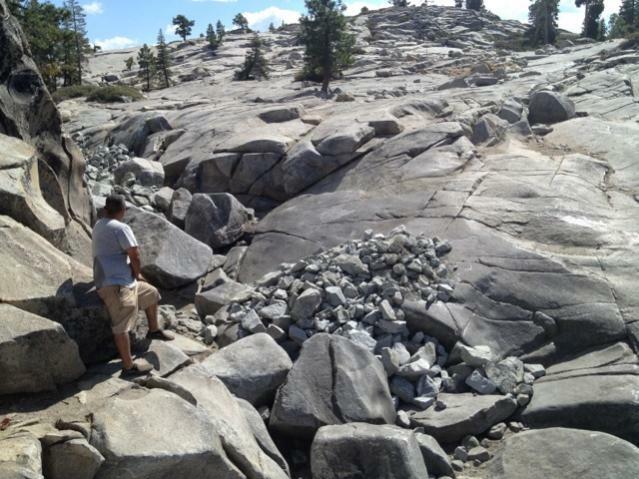 Whether or not you are a 4-wheeler, you benefit from the Rubicon Trail as a public recreation area. 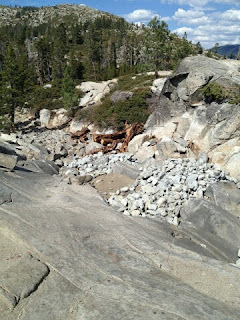 Every resident and business in El Dorado County will suffer from this senseless destruction of Little Sluice. They don't care obviously. What it does to the area or to your business is of little concern. How sad is that? If they end up getting their way, this will just be a cut-off to Lake Tahoe, and will be paved all the way through. It is a sad day indeed. Maybe the government cronies should have built a better rig... This change is truly unfortunate and a huge hit to the off road community. There are many reasons I left Kalifornia. Government stupidity and/or corruption are at the root of all of them. I too left the state 9 years ago. My wife susan and I have both been over this trail a lot, her more then me. I know folks that have been going over this trail since the 50's. For the a-hole county govenement to do this is just unbelievable, unless they are getting paid (donations) So Which Enviro group is paying these a-holes to do this? I will not be coming back to El dorado any time soon but if it was me I think that most of this years jambore should be spent hand emptying all that rock out of the sluie box. here is the info i have found on it. Much appreciate the way you have explained the destruction of the Rubicon Trail - the Little Sluice Box. I think government is always on the run to destroy things and this is not right. People liked the place as it was why ruin it? Seems no one remembers that the Little Sluice was destroyed 15 or more years ago by some egotistic idiots that actually destroyed a naturally challenging trail by dynamiting those monster boulders into the trail (that use to be on the wall) so that only monster rigs could ever do the sluice again. For many years it was great fun and plenty challenging for even modified Jeeps on 33-35's. Its now impossible to traverse without damage. It should have been left to nature all along. I suppose most of you here aren't old enough to remember when it was originally vandalized. Yes its too bad they have to fix it, but the damage was actually artificially done years ago. You can say they are putting it back closer to how it would have been all along.